As President and Chief Executive Officer of the Greater Phoenix Urban League since mid-1992, George Dean has diligently and impressively brought a troubled affiliate back to community visibility, responsiveness and sound fiscal accountability. Mr. Dean, a former CEO of the Sacramento, California and Omaha, Nebraska affiliates boasts more than 25 years as an Urban League staff member. His leadership focuses on advocacy toward those issues affecting the African-American and minority community education, training, job placement and economic development. Mr. Dean annually raises more than 3 million dollars from major corporations, local municipalities and state agencies for the advancement of minority enterprises, individuals, families and non-profits. 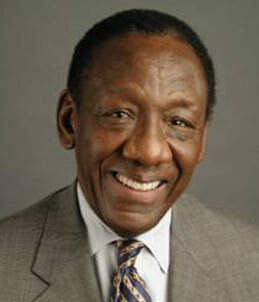 Mr. Dean is a nationally recognized figure in the field of minority issues and advancements, and affordable housing.